January 23 – With the first set of knock-out rounds over, for many the long journey home begins – the end of their football adventure. 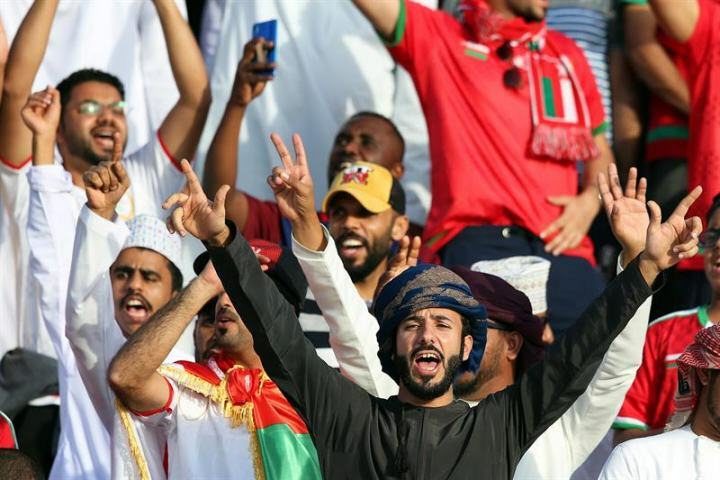 Some of those leaving the Asian Cup in the UAE will be missed more than others, with few missed more than the Omani fans, especially in Sharjah. In what was the Arabic equivalent of Europe’s ‘drinking the town dry’, the Omanis who flocked into Sharjah for their group game against Uzbekistan arrived in unexpected numbers, ready to eat and watch football. Oman shares a border the UAE and fans had driven in their trucks and cars from all over Oman to get to the game. The result was an unplanned-for Omani crowd of more than 9,000 who flooded into the city for their match at the Sharjah Club Stadium. Sharjah could barely cope. With the Omanis all hungry after their journey and eager to eat, restaurants in the city rapidly ran out of food to feed them. Restaurateurs across the city were issuing apologies to fans and ruing their lack of foresight – after all, what is arestaurant if doesn’t have food. The surprise numbers of Omanis also caused chaos at the stadium as organisers had to rethink their seating plan to cope with Omanis, locating many of them near the seating for the Uzbek fans. Oman lost 2-1 to a goal scored in the 85th minute. This did not deter the travelling Omanis who supported their team through a 1-0 loss to Japan (two penalty decisions could easily have reversed that score) before they beat Turkmenistan 3-1 with a last minute goal to qualify as one of the best third-placed teams for the round of 16. In the round of 16 they were drawn against tournament favourites Iran, going down 2-0. They may have lost the football but these fans won hearts and friends with their warmth and humour throughout the journey. Even if they were a little hungry.